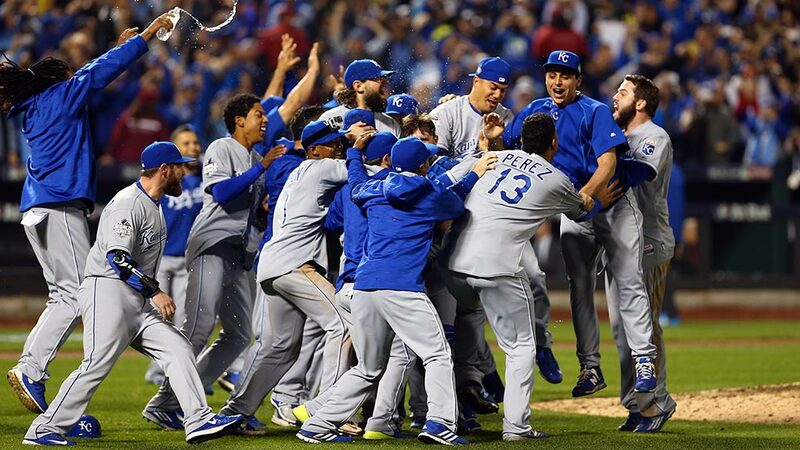 The Royals were able to finish what they started with their memorable 2014 run, chipping away constantly at New York’s fierce young rotation and using their stellar defense and aggressive baserunning to capture the franchise’s first World Series championship since 1985. The Royals overcame deficits at some point in each of the five games. Kansas City capped the postseason with eight come-from-behind wins in the playoffs. No comeback was more devastating for the Mets than the Royals’ Game 5 clincher, when Mets ace Matt Harvey invigorated the Citi Field crowd with eight dominant shutout innings in the elimination game. Harvey successfully pleaded with manager Terry Collins to pitch the ninth inning, even with closer Jeurys Familia ready in the bullpen. A Royals walk, double and two fielder’s choice plays -- Eric Hosmer made the dash from third to home on a ground ball to third base -- tied the game in the ninth and the Royals went on to win it with a five-run 12th. As one would expect, Kansas City’s bullpen was superb in the clincher and throughout the entire series: closer Wade Davis made three scoreless appearances (four innings) and setup man Kelvin Herrera tossed five shutout frames. Surely without the steady bullpen, Kansas City would not have been able to win both extra-innings World Series games (Game 1 went 14 innings). Familia blew three saves for the Mets in the series. World Series MVP was reliable Royals backstop Salvador Perez, who played every inning of the Fall Classic except the final one. Perez made the last out of the 2014 World Series with the tying run on third base. Mets rookie Michael Conforto and veteran Curtis Granderson combined for five homers.